Invertek Variable Frequency Speed Drives Save you on Energy costs! 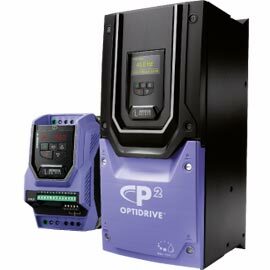 The Invertek OPTIDRIVE™ E2 Single Phase unit uses advanced revolutionary motor control to achieve reliable intelligent starting of single phase motors. OPTIDRIVE™ E2 Single Phase has 14 adjustable standard parameters in its basic form. 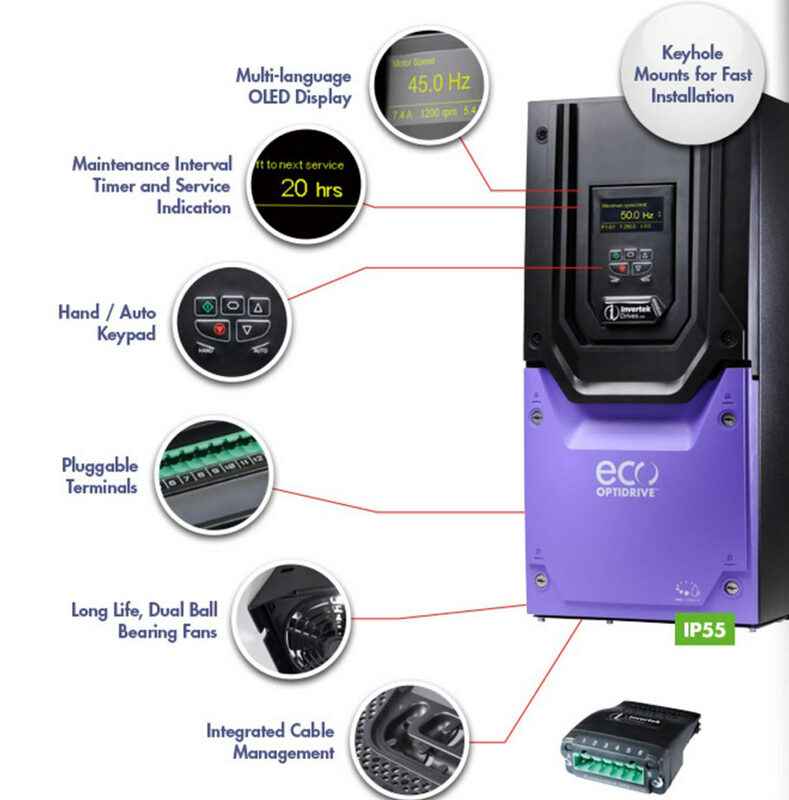 The OPTIDRIVE™ E2's ease of use guarantees a quick drive commissioning process. For the more advanced user, the parameter extension set gives access to powerful and additional functionality. 14 parameter for the default set up. The default settings are well suited the majority of applications. Contractor based connection types for simple wiring. For built-in and external filter options allow full EMC compliance. Easily integrates with your systems control and monitoring. Dynamic & compact options with built in heatsink mounted resistors. With withstand overloads of 150 for 60 seconds, and 175&137; overload for 2 seconds. Dynamic & compact options with bbuilt in heatsink mounted resistors. Ensuring the reliability of starting single phase motors, these VFDs ups the motor to it's rated voltage while maintaining a fixed starting frequency. After which the frequency and voltage return to the desired operational parameters. With withstand overloads of 150% for 60 seconds, and 175% overload for 2 seconds. The IP20 Enclosure is rated at up to 50°C, and the IP66 Enclosure is rated up to 40°C. OPTIDRIVE™ E3 Single Phase motor is rated up to 1.1KW, and features a special boost phase. The E3 Model offers Sensorless Vector Control for all Motor Types. This gives reliable precision control for IE2, 3 & 4 motor types. Perfect for Inuction, permanent magnet, brushless DC, and synchronous reluctant motors. With its 14 parameter standard setup, this unit is suitable for most applications. The unit comes equipped with contractor type connections for easy wiring. This design allows you to switch between industrial pump and fan modes. This feature makes the E3 Series versatile for your application. 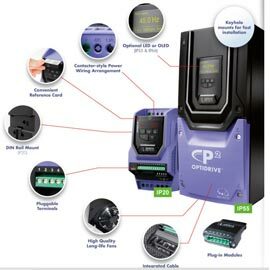 The Invertek OPTIDRIVE™ P2 Series is a high performance and easy to use VFD. This series is designed for the most demanding applications with built in simple PLC functionality, EMC filter, low temprature operation, dedicated hoist mode, and heavy duty industrial ratings for evey model. Overload protection of 150% for 60 seconds, and 200% overload protection for 4 seconds, makes this one tough unit. The OPTIDRIVE™ P2 allows for exceptional motor control using advanced mathematical algorythms, while using the very latest in hardware technology. Even with these advancements the P2 series comes with a user friendly interface allowing for easy implementation of all the benefits this model has to offer. This allows the unit to adapt to the newer generation of high effeciency permanent magnet motors. This internal filter saves on cost and installation. This features allows your system to save on space and provides easy installation. The P2 incoporates advanced motor control with the use of Invertek's mathematical algorithms. The P2 series uses the very latest hardware technology that provides precision control. Users can easily apply this control with a simple interface and finely tune their applications. Invertek's OPTIDRIVE™ P2 offers a safe torque off function allowing for simple integration into a machine's critical safety circuits. Simplistic machine designs reduce costs for somponents, and saves panel space. This design also minimises installation time. Quickly shutting down and resetting these procedures reduces system maintenance time, thus saving you energy costs. This design adds more saftey in comparison to alternative mechanical solutions. Advance motor connection using only a single cable allows for no interruption. This VFD has been engineered to allow for a wide range of industrial application motors. You have the capability of changing parameters to match the specified motor. This design is a technoligical advancement that is now being used in a wide range of manufacturing applications. This next generation technology is drastically reducing energy costs for OEM's and end users alike. With more advanced and energy efficient motors coming to the market, you need a VFD to take full advantage of these cost saving energy efficient technologies. 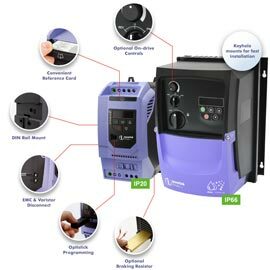 Invertek P2 VFDs provide everything needed to reduce energy consumption using next generation motor technology right out of the box! The majority of AC motors found in industrial manufacturing applications are basic induction motors. These motors are economically priced, and readily available from many different motor manufacturers. Today however, energy efficiency has become a houshold term in the power transmission and motion control industries. As energy costs rise, the demand for more energy efficient motor designs has received attention by motor manufaturers around the world. Motor manufacturers are now engineering more advanced long life energy effienct motors. Using these more efficient next generation motors coupled with an Invertek variable frequency speed drive will even further reduce your energy costs. The return on your investment will be noticeable within a very short amount of time. The OPTIDRIVE™ P2 is engineered to provide more energy efficient operation when using basic induction motors. On the other side of the coin the P2 also adds maximum control for the newer more energy efficient motor designs. The motor installation process is simplified by easily defining the new motor's parameters for calibration and optimization. Performance Third Generation Vector Mode, can provide up to 200% torque from zero speed without requiring an encoder. 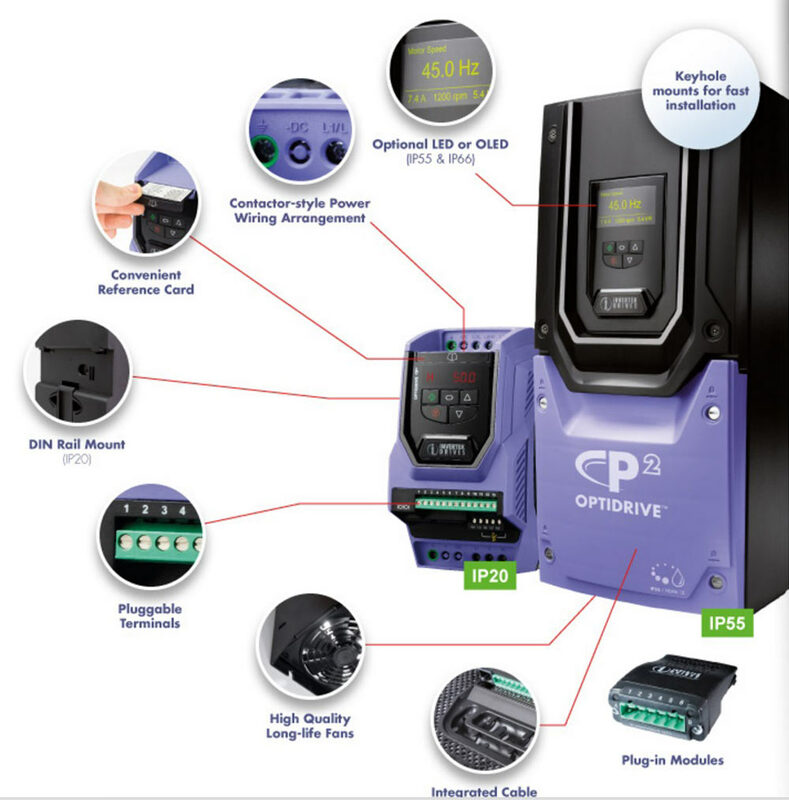 OPTIDRIVE™ ECO Variable Frequency Drives provide efficient, reliable, and silent motor control. These units are designed for HVAC and pumping applications. The ECO line provides maximum efficiency whilst minimizing environmental impact during their operation. 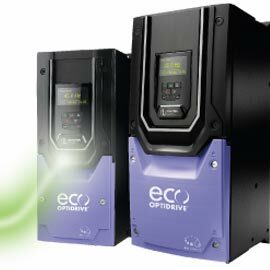 OPTIDRIVE™ ECO is the unrivalled performance VFD choice for HVAC standards in demanding applications. Staging and pump cascade control. Manual and Auto control options. Reduces pump downtime and failure rates. Smoke and harmful fume extraction, and detection. Overide during fire scenario safety precaution. Thes units offer energy efficiency with both basic induction, and next generation motor types. The units only require parameter selection to suit the type of motor being used. Automatic tuning, and basic motor parameter data information allows for simple set-up and easy use. The ECO coupled with the use of next generation high efficiency motors provides even more energy saving benefits. Invertek OPTIDRIVE™ Dedicated Elevator Drive is the second generation dedicated VFDs, engineered to provide smooth and reliable control for all elevator applications. 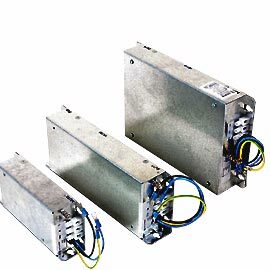 These compact drives simplify installation and are compatible with a wide range of motor types. These elevator drives offer maximum ride comfort under any condition, and with five independent S-ramps and dedicated motor holding braking control algorithms, the system can be finely tuned to suite any elevator need. Theses Dedicated Elevator Variable Frequency Drives come standard with features such as: Safe Off, and Rescue modes, control of IM and PM motors, and built in EMC Filters just to name a few. These units allow the control of IM, and PM motors. Perfect for geared, or gearless systems. Open or Closed loop vector control of standard IM motors using the incremental encoder. 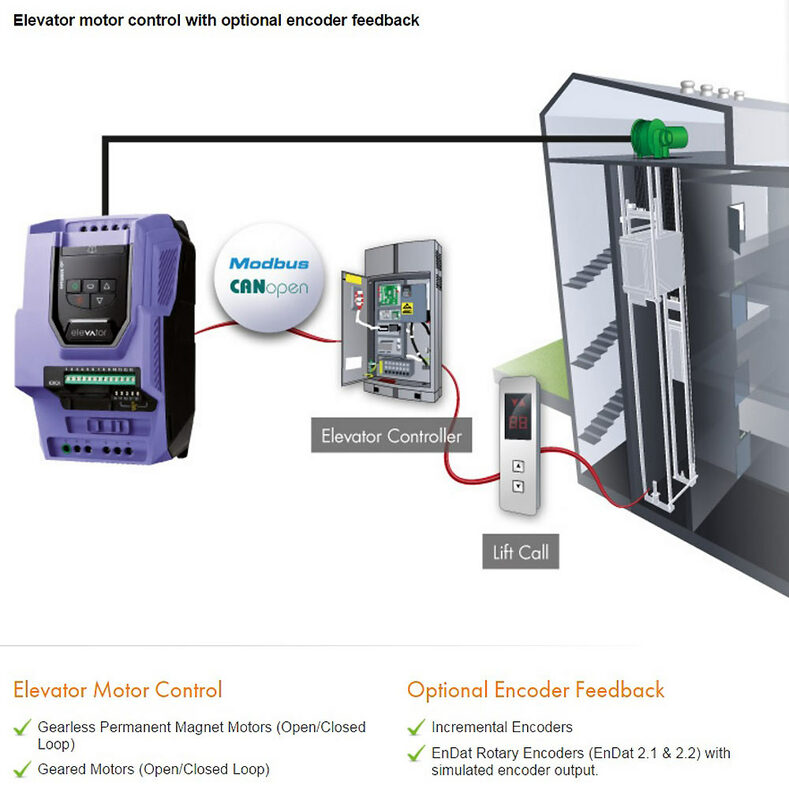 Open or closed loop control of PM motors using the incremental/EnDat encoder. Includes 5 independent S-Ramps for fine tuning of ride performance and smooth travel. Advanced on-board controls with an easy to use interface. Short floor operation to reduce carriage travel time. High frequency motor switching up to 32kHz max, allowing for quite motor operation. Standard unit dedicated motor braking control algorithm. This stops the motor safely and quietly. Anti-Rollback when used with an encoder. Rescue mode operation possible with external UPS system. 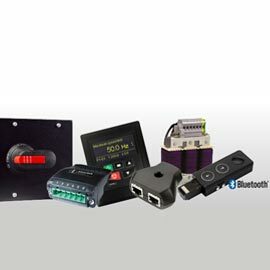 On-board simple PLC function allows for customizable programs to be written and applied to a wide variety of systems. 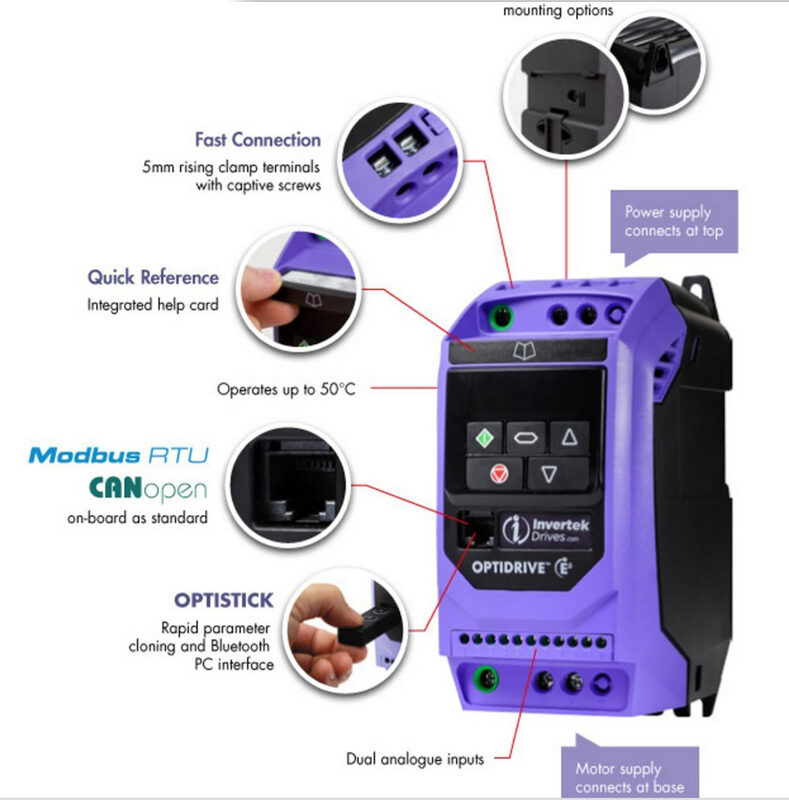 Modbus RTU, and CANopen come as standard options. Full load operation of up to 50°C with no derating. Safe TUV approved, Torque Off function built in as a standard feature. SIL 3 compliant output contactor control. Dedicated elevator drive with logical parameter and function groups are a standard feature. Parameter settings from the factory are well suited to simple elevator applications for fast start up, and less downtime. Setup on the drive uses famialar elevator controls. These VFDs provide standstill motor autotune without requiring shaft rotation, or rope removal. 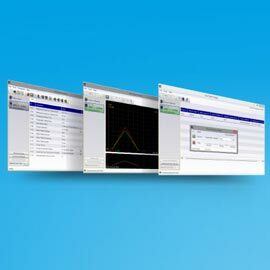 Wireless parameterisation is available when using the Optistick, with OptiTools Studio program. To manage your Variable Frequency Speed Drives Invertek offers its software OptiTools Studio. This solution makes Drive commissioning, parameter setting, and programming of your Invertek VFD an easy process. This is a powerful PC based package with multiple drive network support. Simply locate your model VFD and download the software and you'll be ready to go in just minutes. Programming and Comissioning your Drive. Invertek VFD Parameter Upload, Download & Storage. Printing of your VFD's parameter lists. Function Blocked Based PLC Logic Programming methods. Advanced Drive Control Function algorythms. Multi Function arrays can be easily utilized to produce powerful solutions. Program protection to prevent unauthorised copying of important data. 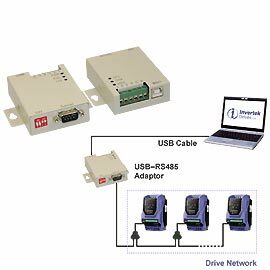 Customize your drive installation peripherals with AC Drive Options and Accessories from Invertek. Installation and network options are designed to complement the OPTIDRIV™ range of Variable Frequency Speed Drives. 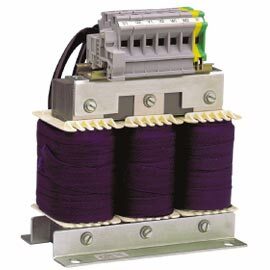 Invertek Drives Brake resistors allow dissipation of energy generated from the motor. This allows for shorter stopping times with high inertia loads. Invertek brake resistors are suitable for light duty loads. 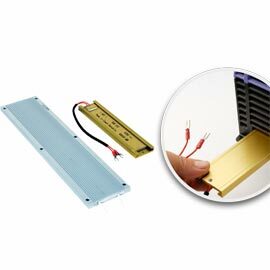 The resistors can also be mounted directly to the drive heatsink for a convenient, space saving installation method. Invertek EMC filters reduce the electromagnetic noise tranfer between the drive, and main power supply. All OPTIDRIVE™ VFDs come standard with an internal EMC filter, except when specified by the customer. For most industrial applications this built in EMC Filter will be sufficient. If a higher level of filtering is desired, an external EMC Filter can be added to either the Invertek line of VFD drives, or a VFD drive without a built in EMC Filter. Optimal performance is achieved by using a filtered drive and the appropriate external EMC filter. Invertek Input chokes can be used to reduce harmonic currents and voltage distortion in the supply line generated by almost all inverter drives on the market today. Invertek Drives has selected a range of chokes matched to the OPTIDRIVE™ series to provide the best reduction in supply current harmonics. The input chokes also enhance protection for the OPTIDRIVE™ against transient voltages, or “spikes”, and other power main born interference. Invertek Output filters should be used whenever long motor cables are fitted between the OPTIDRIVE™ VFD Drive and the motor. The additional inductance assists in balancing the effect of the cable capacitance. This also helps protect the motor against possible damage. Invertek Output filters should always be used when a non-inverter rated motor is used. 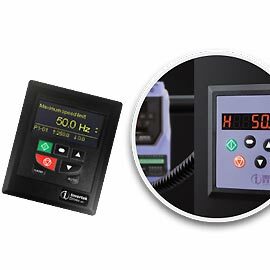 Ivertek offers a wide range of communication interfaces available for all OPTIDRIVE™ VFDs. 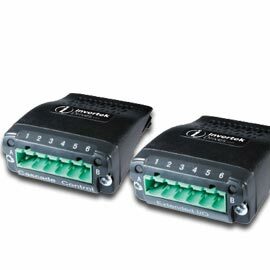 These interface units will allow up to four drives, and with the use of (Profibus) eight drives, to be connected to a single gateway. These plug in modules allow for OPTIDRIVE™ P2 series VFDs & HVAC series VFDs to be directly connected to the network, thus providing enhanced functionality. 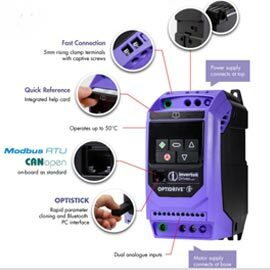 The Ivertek Optistick allows for real-time data communication from the Variable Frequency Drive to a PC running OptiTools Studio PC software. This is accomplished with the Optistick's Bluetooth®. The Optistick Allows for rapid parameter copying between multiple drives. Changes can be made to any one drive using the Optistick with real-time data accuracy. Invertek's RJ45 cables are used to connect the Variable Frequency Speed Drive to a wide variety of networks. If you are using Modbus RTU, CANbus, or BACNet MSTP serial networks, the line splitters and RJ45 hub can be used for rapid connection of multiple drives within a common network. 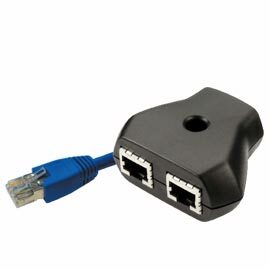 The RJ45 simplifies the connection of splitting wires and connection cables to the VFDs in the network making for a quick and easy setup. 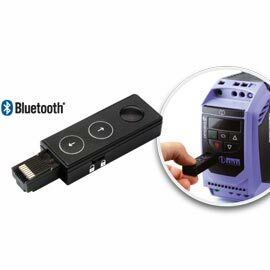 Invertek's USB PC Connection kit allows you to provide an interface between the PC using OptiTools Studio software, and the VFD drive. These kits have the capability to be mounted on a panel, and they also provide isolation of electrical signal between the PC and the drive. 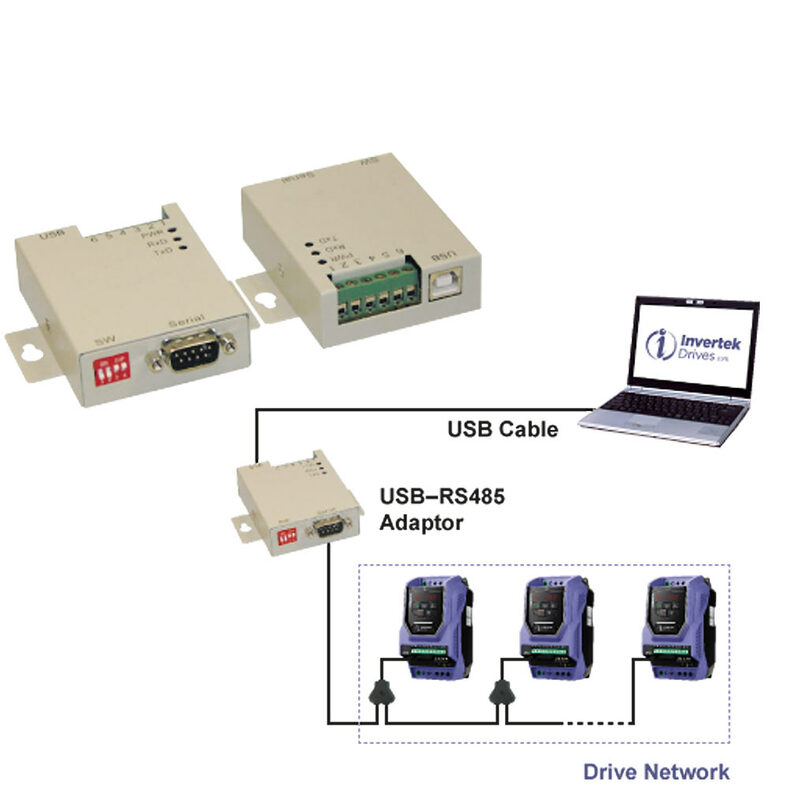 This kit comes complete with the RS485 communication adapter, user installation instructions, USB cable, the DB9 RJ11 Cable (For Optidrive Plus/VTC/PCE), the DB9 RJ45 Cable (For Optidrive P2/HVAC/E2), and Windows driver installation CD. Invertek's Isolator options for Optidrive P2 & HVAC Frame Sizes 4 & 5, provides a convenient method of electrical isolation of the drives. These isolators mount directly on the drive itself. This is especially useful for equipment requiring periodic maintenance. The isolator has a padlock for use in the off position, this is there to prevent accidental activation. Invertek's two types of remote mounting keypads, are available for the OPTIDRIVE™ Series VFDs. The Optiport 2 is a low cost LED keypad, which simulates the drive display and keypad function. The Optiport keypad provides access to all of the drive's parameters, however there is a lock to prevent unauthorised access of these parameters. The Optiport Keypad has a remote display of drive operating information such as: output frequency and current, and can also display user defined scaled values, as in monitoring conveyer speed in metres per minute. The second type of Optipad Kepad has all of the same features as the first, with the addition of an OLED Multi language display that allows for three user defined monitoring values to be viewed simultaneously. All of the drives parameters are accessible and like the Optiport 2, these parameters can be locked preventing unauthorised access. Parameter names are viewable in plain text, and any adjustments can be made by selecting from the list of parameters. 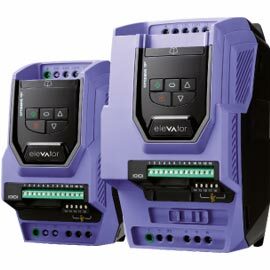 When additional digital inputs and outputs are required, Invertek offers a range of plug options that extends Input and output connection points to the drive. The OPT-2-EXTIO provides three more additional digital inputs, and one relay output. The OPT-2-CASCD provides a three digital input, and three relay output set-up. This is a necessity for applications equipped with multi pump cascade control. The OPT-2-ENCOD is a plug in encoder feedback interface for the OPTIDRIVE™ P2 series VFDs. This allows for closed loop motor control. This interface is only compatible with 5 volt TTL type encoders, and rated up to 4096 ppr. Please visit Invertek Drives on YouTube! Please visit Invertek Drives on LinkedIn! Please visit Invertek Drives on Google+! Please visit Invertek Drives on Facebook! Please visit Invertek Drives on Twitter!